At some point in your life, whether you are ready for it or not, you will reach the retirement stage. When you do, your lifestyle will depend on how well you have planned for this time period. Invest as early as you can, since time in the market gives your portfolio a chance to grow, and minimizes the effects of day-to-day market volatility. Own equities that pay dividends and invest those dividends each year so you can reap the benefits of compounding returns. Finally, guard against inflation. Inflation is the key hurdle to a successful retirement. Dividend growth is a critical component in guarding against inflation. 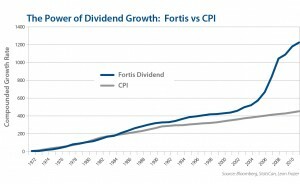 For example, Fortis Inc, the Newfoundland-based utility company, has a great track record of increasing its dividend. 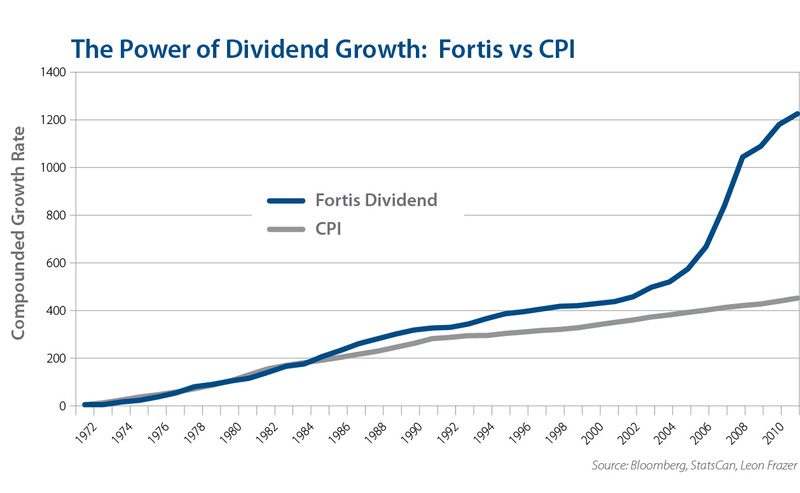 Chart One compares the long-term growth of the Fortis dividend with inflation over the same time period. It clearly demonstrates the power of increasing dividends. Leon Frazer believes so strongly in these principles, we’ve adhered to them for over 70 years, whether your portfolio is in its’ infancy, growth or retirement phase.